If you liked this show, you should follow Conversations with God by Tammy. 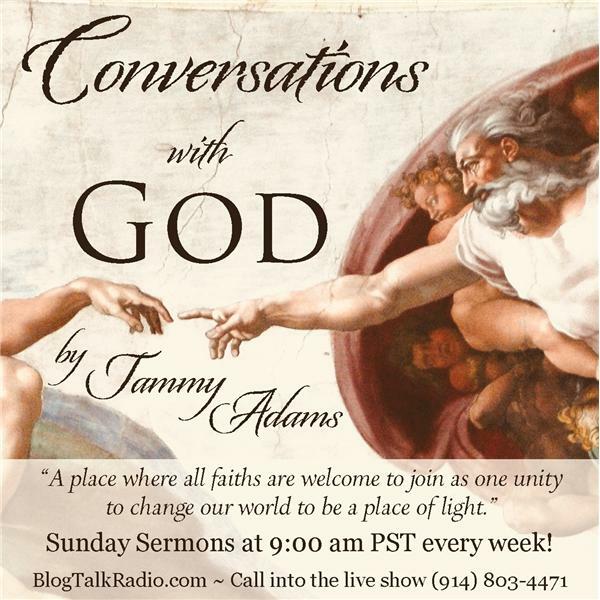 This week on "Conversations with God by Tammy Adams," learn how to start feeling the connection with God. We all have a connection to Him, but our own blockages get in the way of us truly feeling it. So, learn from Spiritual Minister, Tammy Adams, how you can start feeling that love, light, and connection! Call into the LIVE show and allow Tammy to give you messages from your Angels! This show is brought to you by the House of Angels Foundation 501c3. Learn more about the Foundation and how you can donate and support our cause to help those in need. Join the Globe Healing Movement! It's time for us all to make a difference to better our world and create universal healing! Donate Today and do your part by supporting the House of Angels Foundation! Click the link: http://globehealing.org/donations/?